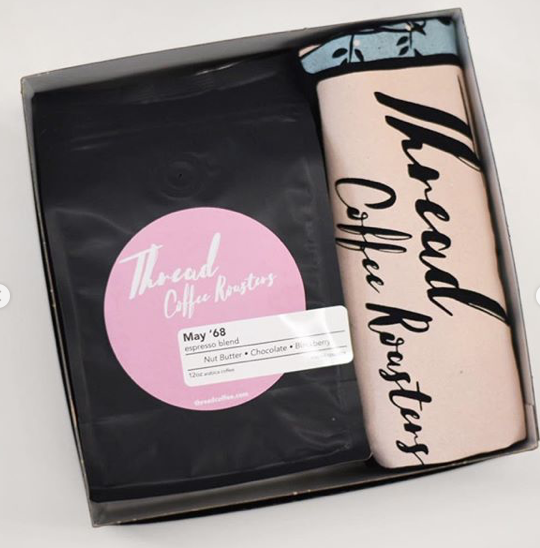 Thread Gift Box: Thread T-shirt + 12oz Roaster's Choice Coffee Give the ultimate gift to the Thread Coffee lover in your life. 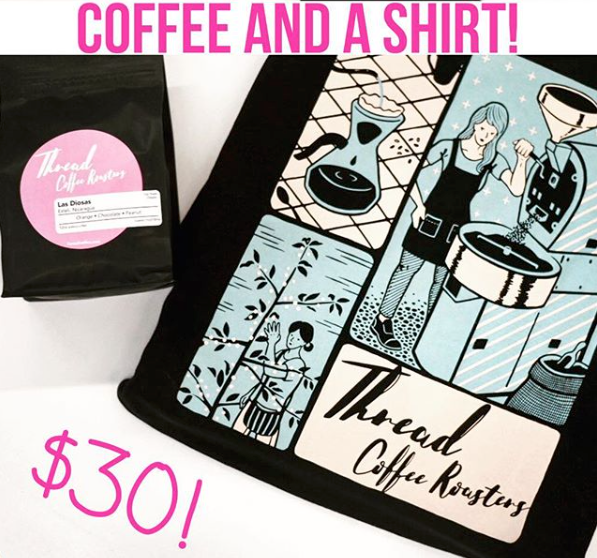 T-Shirt designed by MICA alum and wonderfully talented artist Caleb Luke Lin and a bag of fresh roasted coffee! What's better than that? It comes in a gift box, ready to give at a moment's notice. Use coupon code 'InStorePickUp' to skip the shipping and pick up at the roastery. 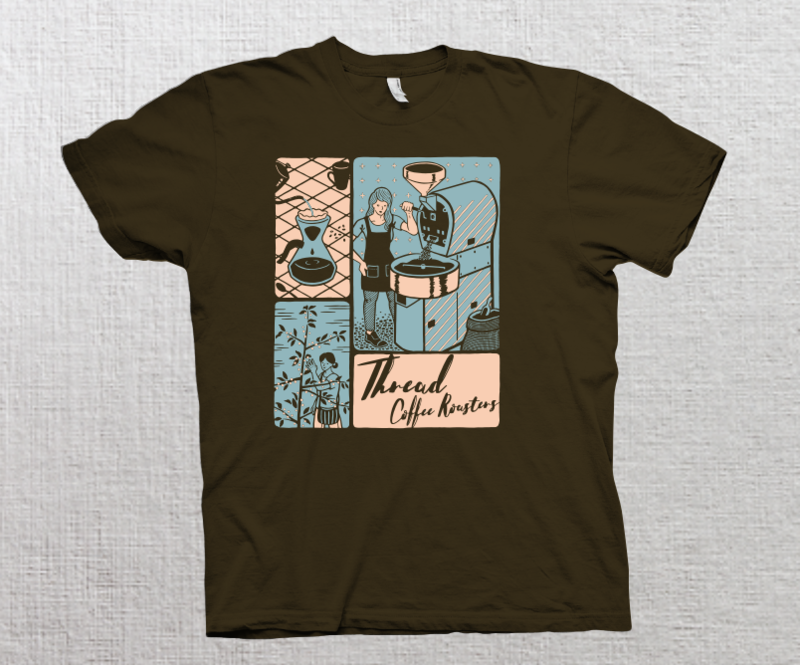 Give the ultimate gift to the Thread Coffee lover in your life. T-Shirt designed by MICA alum and wonderfully talented artist Caleb Luke Lin and a bag of fresh roasted coffee! What's better than that? It comes in a gift box, ready to give at a moment's notice. Use coupon code 'InStorePickUp' to skip the shipping and pick up at the roastery.